It's Maya and Jamie's anniversary, and she waits with excitement for him to return home for a celebratory dinner. There's a knock at the door. It's the police. Jamie has been found hanging in a local wood. His death is ruled a suicide, but Maya doesn't believe Jamie would take his own life. Something isn't right. Someone has broken into her house. Someone is watching her. And someone has gone to great lengths to cover up what Jamie was doing before he died. Emma is a loving wife, a devoted mother…and an involuntary killer. For years she’s been hiding the dead body of the teacher who seduced her as a teen. It’s a secret that might have stayed buried if only her life had been less perfect. A promotion for Emma’s husband, Alex, means they can finally move to a bigger home with their young son. But with a buyer lined up for their old house, Emma can’t leave without destroying every last trace of her final revenge.... Returning to the shallow grave in the garden, she finds it empty. The body is gone. At 10 years old, Hadley Dixon's life changed forever. Since those few tragic weeks, she's tried to keep the past buried, but old bones have a way of rising up. Grown now, Hadley can't hide any longer. Haunted by a boy who never made it home, a woman who sings in moonlight and dances in flames, and the strange, scarred recluse who watches it all from the shadow of the pines, the time has come for Hadley to pay for her sins. After mystery author Diane Christie loses her husband to suicide, she and her son move to the small coastal town of Fog Harbor, Massachusetts. Her daughter is attending college nearby, and Diane hopes that her family can now begin to heal. But rebuilding their lives after the tragedy isn't so simple. Diane's depressed college-age daughter, Alexa, still avoids her, critical of everything Diane does, and even her generally amiable teenage son, Josh, has started acting out. Derek Flint is a loner. He lives with his mother and spends his evenings watching his clients on the CCTV cameras he has installed inside their homes. He likes their companionship - even if it’s through a screen. When a series of crimes hits Derek's neighbourhood, DC Beth Mayes begins to suspect he's involved. How does he know so much about the victims' lives? Why won’t he let anyone into his office? And what is his mother hiding in that strange, lonely house? The ending gave me chills! In a hidden basement, eighteen-year-old Toni is held captive and no one can hear her screams. She’s been abducted after investigating unspeakable things in the darkest corners of the Internet. 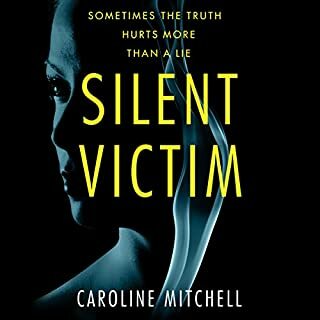 Fearing the worst, Toni’s mother turns to ex-SAS operative Mitchell to help find her missing daughter. 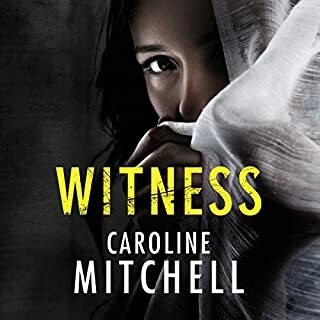 And when Mitchell discovers Toni’s fate rests in the hands of pure evil, he races against the clock to find Toni and bring her out alive. But even that might not be enough to save her. Twenty-five years ago Katie ran away from home and never came back. But now she's suddenly reappeared in her best friend Olivia's life - in the form of a chilling confession. Olivia's father-in-law, wracked with guilt, says he murdered her all those years ago. Tom suffers from Alzheimer's and his story is riddled with error and confusion. Except for one terrifying certainty: he knows where the body is buried. As Olivia and the police piece together the evidence, they are left with one critical question. They have a crime, they have a confession, and now they have a body - but can any of it be trusted? I wouldn't ordinarily give such a high rating to a book that annoyed me so much, but this one does have redeeming qualities. Lots of twists and kept moving along really well - every time I thought the story was detouring into some unnecessary verbiage, something actually did come out of it. And the reader did a great job of portraying the drama queen protagonist, whom I particularly disliked. I probably could have rated it higher, even, if I hadn't resented the author's portrayal of the two female protagonists as so stupid and/or irrational. I mean really, the two little girls seemed more emotionally mature than the mothers. Being female myself, I'd rather the females were portrayed in a more positive manner. But at least the real killer wasn't exposed until the end, and I didn't guess it earlier, and I do like that about a mystery. This is a story about a wife/daughter-in law from hell. 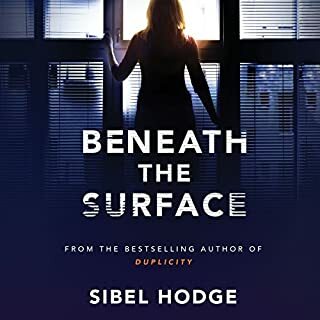 Twenty-five years after her 'best friend' disappears she discovers that her father-in-law in a nursing home, has confessed to her that not only did he kill the young friend years ago; he buried her body in their garage in his hiome. Naturally shocked by this news, she insists on informing the police. As an investigation begins, more and more secrets are revealed that that include various members of the family. The end result is that everyone's lives are shattered and love and trusts are affected beyond repair. I so disliked the attitude of the main character who never hesitated to sacrafice the lives of her entire family as long as she could maintain her holier-than-thou status. What was accomplished? Nothing accept a trail of shattered lives. This is a real mystery--kept from listeners until the final 20 minutes of the book! Hurray! That makes this one a winner despite a few little shortcomings. The main character gets her knickers in a twist over and over as she makes assumptions that are gradually proven false. Not the brightest bulb in the box as female characters go, but that's a small complaint. This is a complex plot with wonderful twists and turns and truly excellent narration. Well worth the time and credit. 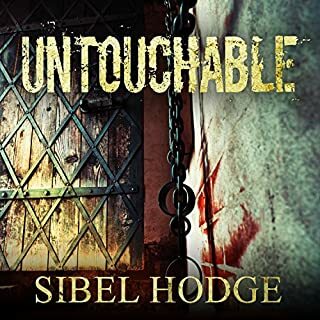 Would you try another book from Sibel Hodge and/or Anna Parker-Naples? Yes it was a compelling mystery. Who would you have cast as narrator instead of Anna Parker-Naples? I don't know enough audio performers to know. Do you think Where the Memories Lie needs a follow-up book? Why or why not? No, not at all. The main character is so insufferable and holier than thou, I wouldn't want to know any more about her or to hear her story further. Wow! What a great read/listen! This book was one I will definitely recommend, well developed characters, a story that wraps you up in it, and so many twists and turns...just when you think you gave it figured out...BAM...another surprise! I didn't see the end coming at all, love this type of book!!! I really loved the plot of this book, it's what hooked me in the first place, but I really felt like there was too much time wasted on insignificant details. That's not to say that I struggled to get through it, but I wish I didn't have to spend as much time on the book to get to a conclusion that could've been reached much sooner. Overall, it wasn't a bad read. our heroine is a silly fo.ol. She should have k ept her mouth shut right along. glaD SHE FINALLY FOUND THAT OUT. Did not like this story as I believe you never betray family. I'm surprised that I was surprised by the ending! I almost stopped listening to this book as soon as I started because in the opening bit with the conversation between Anna and her mom was SO annoying. I got used to her voice, but anytime she spoke as either young girl, it was rough. Very obnoxious voice. The story line was good though. Not amazing, but I was entertained and didn't see the ending coming, even though I thought I knew what had happened. The narrator was horrible. Needs better performance. Story line and ending were a disappointment. Has Where the Memories Lie turned you off from other books in this genre? 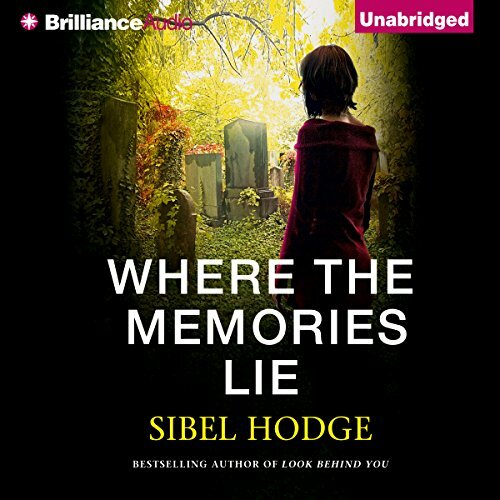 Where does Where the Memories Lie rank among all the audiobooks you’ve listened to so far? Characters and didn't give much away so made it compelling listening!! What about Anna Parker-Naples’s performance did you like? GOOD STORY, WELL WORTH A LISTEN!! Good compelling story and worth a listen however the narrator was quite dull and may have been better having a male narrator as well. Good storyline and plot but what an annoying character the story teller is you want to reach into the narrative and tell her to stop being such a goody two shoes and have some faith in her family. This book was too unbelievable to finish. I will not be looking for any other novels by this author. Not such a good book! This book was very hard going! 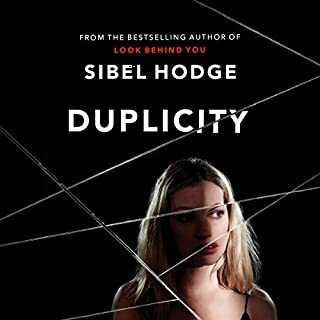 I've read much better books by Sibel Hodge - very disappointing,sadly. 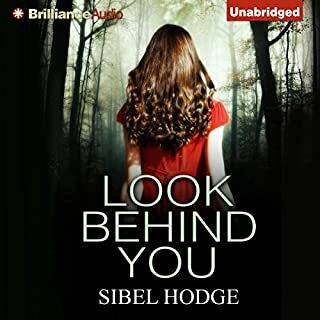 This is the first Sibel Hodge book I've listened to and it certainly won't be the last! I really enjoyed her style of writing and the narration was very easy to follow. Lots of twists and turns, thinking you've worked out the plot only to be sent in another direction. My direction now is another of her books. read very well, the tone of voice for some bits could have been better. but overall an excellent story. wicked twist at the end. The narrators breathy, simpering voice was dreadful. Very sorry to leave such a bad review. But felt I had to. Very well written. Needed to listen every spare moment to the end. Every thread of the final outcome was foreshadowed skillfully and executed expertly. big fan of Sarah's accent.